If you don’t work from home, you probably imagine it to be a pretty cushy gig: you can do everything you need to get done while lounging on the couch in your pajamas, casually going about your business with not a care in the world. If you do work from home, you know that’s simply not the case. For the most part, working from home requires you to set up your living space as if it were an actual office. While you don’t necessarily need to hole yourself up in your room, it certainly helps put you in the frame of mind to get some work done. If you’ve been designated for home assignment, make sure you have the following to ensure you maintain your productive nature. If you work from home, chances are you’ll be spending a majority of your time utilizing the Internet in some capacity. A slow Internet means halted productivity. Make sure you have a reliable router, and are connected to a server that promises minimal dips in service. 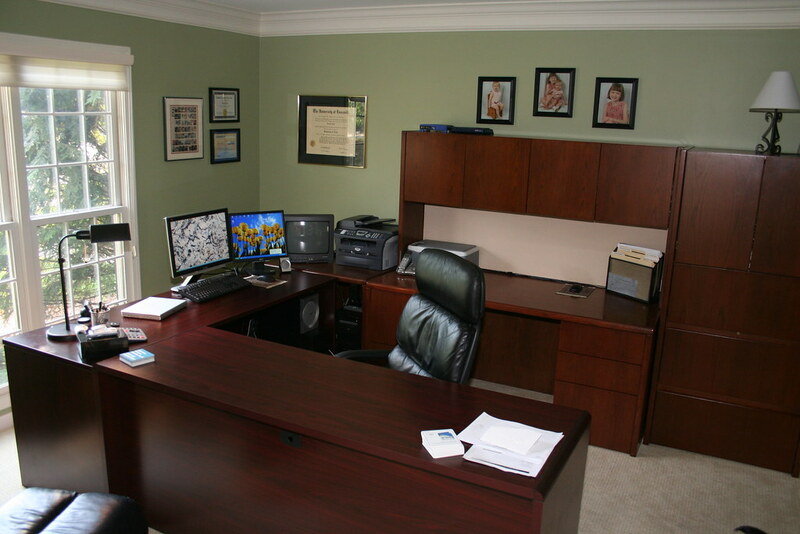 While I did say it’s important to get that office feel going within your home, sometimes you need a change of scenery. With a laptop, you can do work from anywhere in the house (and beyond). On those nice days, instead of sulking in your room, take it outside and soak up some sun while you work on those spreadsheets. Just make sure you’re still within range of your Wi-Fi connection! Any handless set will do, actually. Since you’ll likely be communicating with coworkers and supervisors over the phone throughout the day, you’ll want to be able to do so without tying up your hands or cricking your neck for hours on end. If it’s not too cumbersome, you don’t even need to take it off after you hang up; it’ll probably ring again soon enough, anyway. If you’ve ever dealt with a less-than-stellar printer, you know how frustrating they can be. Invest in a worthwhile printer that also works as a copier and scanner. And make sure you know exactly how to use it. Nothing gets in the way of a productive day like a paper jam. Since you’re working from home and have little to no physical contact with others around you, you’ll need to make sure to keep track of your time for a variety of reasons. For one, you need to manage your own time efficiently; you won’t have a boss constantly pushing you to finish a project by a specific time. You also won’t have much frame of reference when it comes to taking a lunch break or when it’s time to quit. A large, visible clock will help make sure you always know when it’s time for happy hour. You have all these electronic devices, so of course you’ll need a surge protector. Not only will it give you a much larger number of outlets to utilize, but it will protect your sensitive and expensive electronics from surges (duh!). Beware: not all power strips are surge protectors, so make sure you check the box carefully when picking one out. You’re going to be spending a lot of time sitting, so you need to make sure you’re comfortable. Along with everything else that comes with an ergonomic setup, your chair is possibly the most important piece of the puzzle. Your back will thank you in the long run. These two go together like Forrest and Jenny. Simply put, you need a flash drive or external hard drive for your electronic data, and a file cabinet for your physical papers. Make sure you set an encryption password for your flash drive, and you have a lock for your file cabinet, too. Flash drives are incredibly easy to lose, and if your house is ever broken into, your file cabinet might hold some valuable information that you don’t want to fall into the wrong hands. Speaking of having documents fall into the wrong hands, you can prevent this happening by destroying discarded papers beyond recognition. It might be loud and obnoxious, but your boss would be much louder if he found out you lost an important piece of information. Just shred it and be done with it. Ah, old trusty. Ever since I started writing online, I’ve gone through about five or six different notebooks. There’s just something about getting your thoughts out on paper before you transfer them to the computer. It helps your ideas flow more freely, and you don’t have to focus on formatting or frozen programs. Just make sure you have a special, lockable place for your notebooks when you’re done using them.